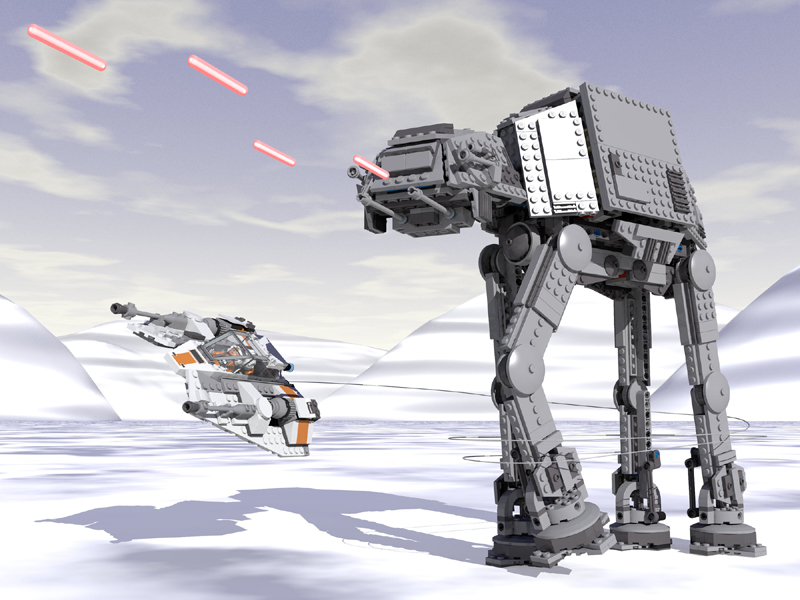 Virtual Movie Scene “Snowspeeder vs AT-AT” from Star Wars Episode V “Battle on Hoth”: Wedge Luke fights an AT-AT. Scenery and models (75049 Snowspeeder and 75054 AT-AT) virtually built with SR3D Builder. String (Rope) built with MLCad/LSynth. Povray render. Povray-file generated with LDView. Pure Render. Edit October 16th: Now it is Wedge's "orange" Snowspeeder! 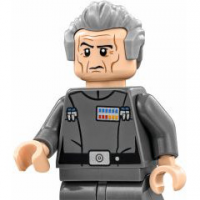 Wouldn't this fit in SW forum? I really like it. My pedantry wants to say that it should be Wedge with the harpoon and cable round the legs with an orange detailed Snowspeeder! Unfortunately I have to admit that you are right! I updated my poste already. Thanks! ..... with an orange detailed Snowspeeder! Hope, the snowspeeder now looks more like Wedge's one! Well if you're anywhere near Heidelberg I can buy you a beer to apologise at the end of the month! Be assured: There is no need to apologize. It was great fun for me to make my creation historically correct. Nevertheless, if I would live close to Heidelberg (instead of 2 hours away in the southern part of Germany) I would highly appreciate to accept your invitation. That’s very kind. Did I hear that right? Free beer? well insult me too sometime then! It may be that the learning curve for the LDraw system is very steep. But once you have overcome the first steps you will love it too. And there is not only MLCad for creating virtual LDraw models. Additionally there is LDCad for example. I myself prefer SR3D Builder. It’s worth the effort! 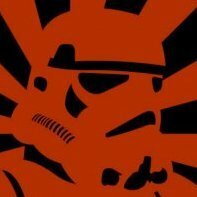 May the LDraw-Force be with you. Thanks! Glad that you like it. - Please specify no background: snowspeeder yes or no? 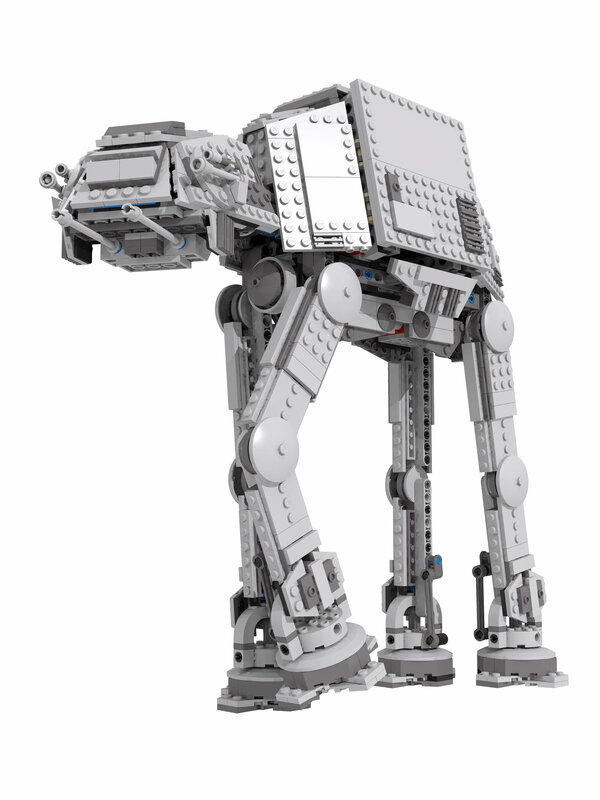 - On one condition: You have to post a photograph from your At-AT-skateboard here! o.k.? I would like this as wallpaper in 1920x1080 resolution! Great work! What I meant is that I only want the walker. With high resolution I mean it has to fit on a skateboard deck so 1550 X 2090 pixals is what I now have. So at least that size. Jpg is ok or png. Background colour doesn't matter I can remove it with Photoshop.